Featured veteran, Orlando Santiago, discusses the support he has received at Veterans Upward Bound. Learn more on what to expect at VUB. Orlando Santiago needed all the support he could get when he transferred from Muskegon Community College to Grand Valley State University (GVSU). Orlando joined Veterans Upward Bound (VUB) in September 2018, and the staff helped him with the transfer process. “One of my biggest goals was to successfully transfer to GVSU. I have received tremendous support from VUB. 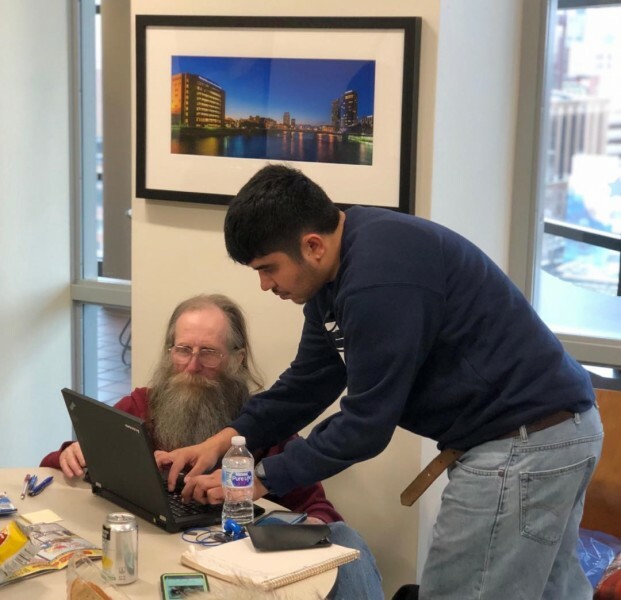 They gave me a sense of urgency, which is exactly what I needed at the time, because I started the transfer process around the middle of the semester,” he said. 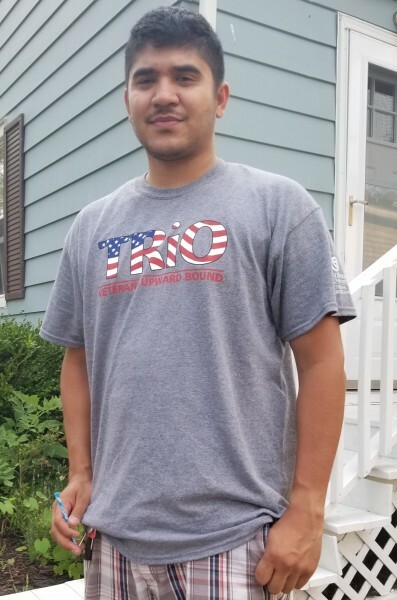 The staff at Veterans Upward Bound have continued to support him as he attends the Seidman College of Business at Grand Valley, and is double majoring in entrepreneurship and business management. He aspires to be a restaurant owner, and to have restaurants in the Midwest and Southern regions of the United States. Orlando served in the United States Army, three years active duty and four years in the reserves. 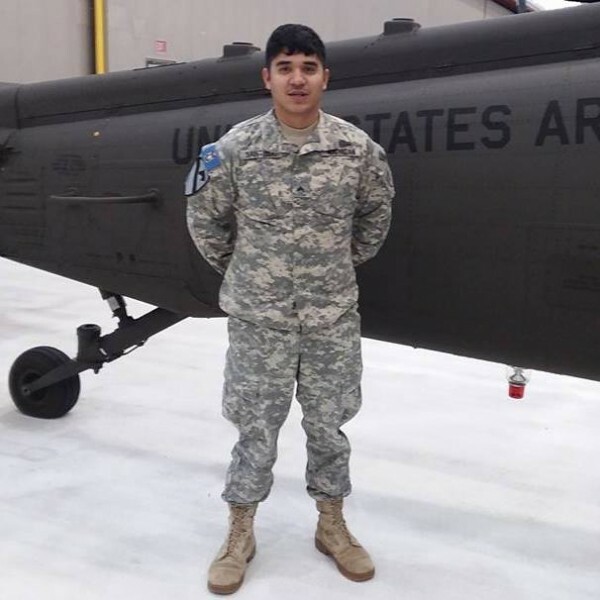 He is currently a squad leader with the Michigan Volunteer Defense Force (MIVDF), which is a volunteer component of the military establishment. He volunteers as a Military Emergency Management Specialist, and aids first responders with disaster relief and humanitarian aid. The most helpful part of Veterans Upward Bound for Orlando has been the staff who always put in an extra effort to help the veterans in the program. “They are able to find solutions for anything you are having trouble with and do it while going above and beyond expectations,” he said. If you would like to learn more about the classes that VUB teaches, you can view the schedule of courses and workshops here. If you are a veteran, or know a veteran who could benefit from this program please visit www.gvsu.edu/vub or call 616-331-8387.